It seems that we’ve been dealt a fairly large hand of superhero sequels in the past six months. 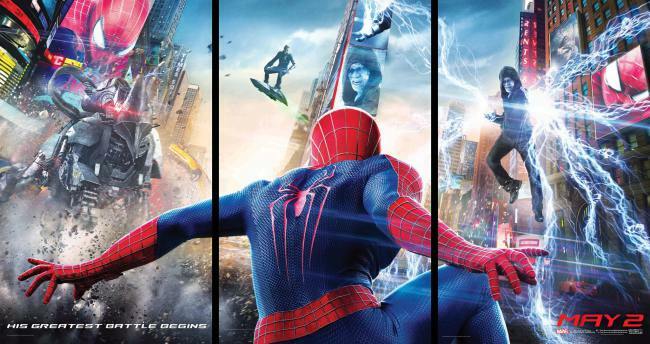 Sure, Thor: The Dark World and Captain America: The Winter Soldier have gone on to be successful sequels in the own universe but can The Amazing Spider-Man 2 win back the naysayers who felt a bit miffed by the first film? I for one left the cinema a little underwhelmed after I saw the first Amazing Spider-Man. I remember thinking to myself “meh, it wasn’t boring but it didn’t exactly live up to the title of ‘Amazing’”. Esta entrada fue publicada en Uncategorized por manumanuti. Guarda el enlace permanente.